11/11/18 BOULOGNE: Armistice signed. Hostilities ceased at 11.00 hrs. 11260 Harry Noel Lancaster from Newcastle in Staffordshire. Attested in October 1916 and was mobilised on the 19th February 1917. Arrived in France in April 1918 and was posted to the 7th Battalion. Reported missing and Prisoner of War on the 16th April 1918 and died in the 11th November 1918 aged 19. 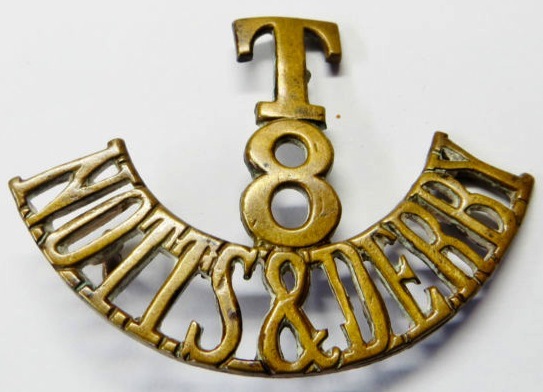 266018 Pte Albert Duke died of pneumonia in Nottingham Military Hospital aged 22. Son of Mrs. Hannah Wilford, of 8, Radcliffe Terrace, Radcliffe St., Nottingham. Born at Gamston, Notts. Died of pneumonia whilst home on leave. Arrived in France in June 1915. 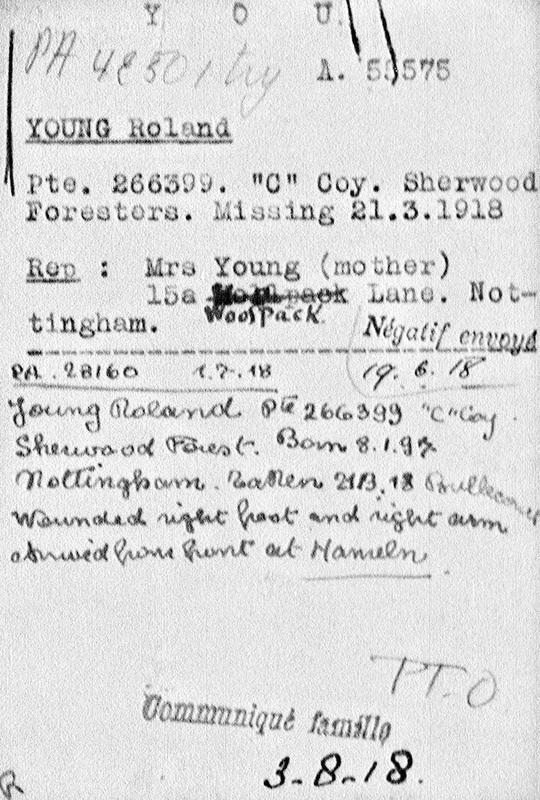 4643/266399 Pte Rowland Young from Nottingham. Arrived in France in October 1915 wounded and taken prisoner in March 1915. Died of influenza in hospital in Germany on 11 November 1918. He is buried in Niederzwenren Cemetery. 100136 Pte Thomas Savage Handy died of injuries under suspicious circumstances aged 35. Son of Thomas and Lucy Handy; husband of Gertrude Handy, of 29, Halford St., Smethwick, Staffs. Attested May 1916 and mobilised January 1918. This entry was posted in Notable event, On this day and tagged 100136 Pte Thomas Savage Handy, 11260 Harry Noel Lancaster, 266018 Pte Albert Duke, 4643/266399 Pte Rowland Young on November 11, 2017 by mikebriggs1910.